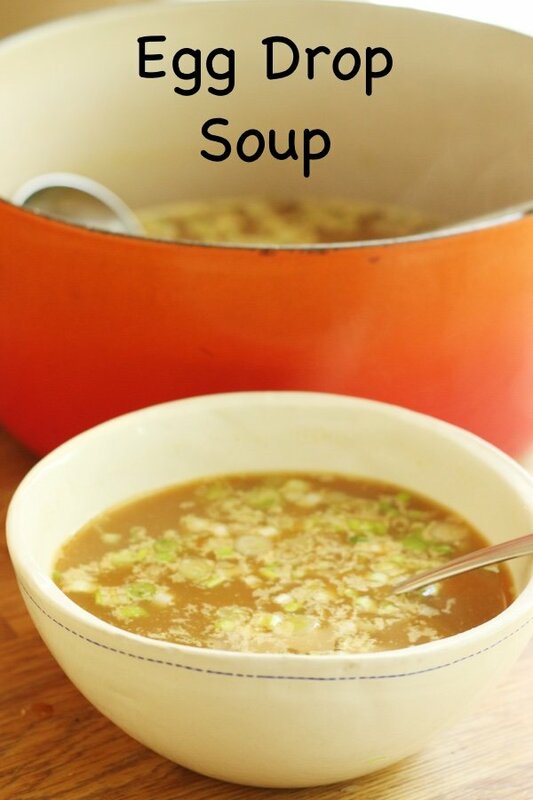 Have you ever wondered how to make egg drop soup? I know that I have ordered it many times and been delighted with its flavor and texture. What I didn’t know is how easy it is to make. You can make many Chinese take-out favorites such as easy hot and sour soup and recipe for sautéed green beans with garlic faster than you can get the take-out. The best part is that you can control the amount of fat and sodium in your food and you won’t be tempted by those deep fried dough strips that they serve along side of egg drop soup. American Chinese take-out is laden with fat bombs and you need to order carefully. I know there are some deep-fried favorites out there (sweet and sour chicken anyone?). 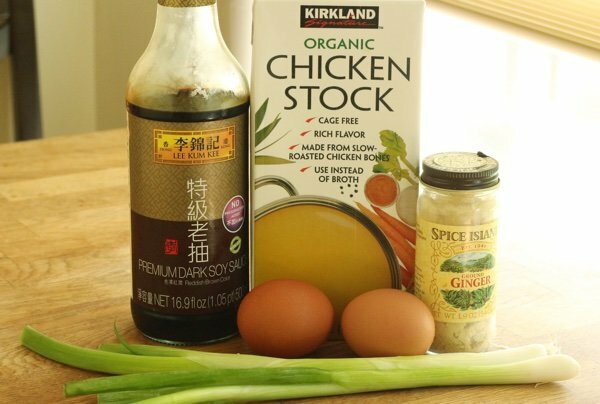 Not only is egg group soup a cinch to make but it has only five ingredients. It is one of those comfort foods that you can whip up from your pantry. All you do is heat up the broth and add powdered ginger and soy sauce. Then you swirl in the eggs and add the chopped green onion. DONE. This egg drop soup is 52 calories for a cup (that is it) and zero Freestyle points for you Weight Watchers members out there. Eggs are FREE and chicken broth has very few calories so it doesn’t add up to much of anything. Of course, if you add cornstarch then you will get only add about 5 more calories per serving. I didn’t add it because I find the soup thick enough without it. If you like that thicker texture, mix 1 tablespoon of cornstarch with 2 tablespoons of the chicken broth. Add it slowly to the chicken broth as it is brought to a simmer. Do you know how to make egg drop soup? Is it a favorite of yours? In a large saucepan, add chicken broth, ginger, and soy sauce and heat until simmering. 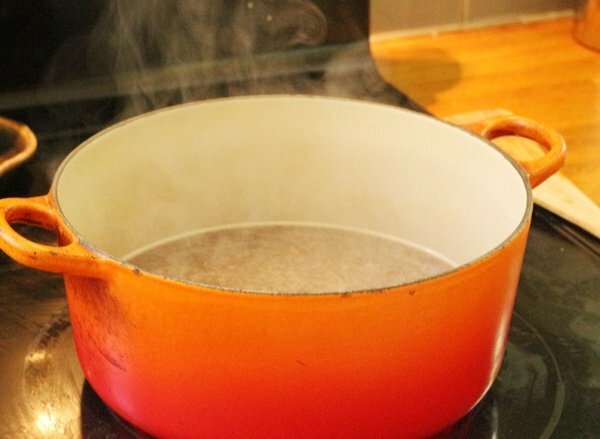 When it reaches a simmer, swirl the broth mixture in one direction with one hand and pour the eggs in slowly in a stream. Add the green onions and serve immediately. Sometimes simple is best as in this recipe for sautéed green beans with garlic. Get Free Email Updates! Yes please! Thanks so much, Lisa!! I deeply appreciate all your recipes, but especially the Chinese inspired ones. I am on Weight Watchers and am trying to eat healthier in general. Your recipes help me put a quick meal on the table that is way better than take out. You really are a lifesaver - thanks!! Thank you for demystifying a favorite food!!! I will probably use Imagine’s No Chicken broth. This sodium and fat thing takes constant vigilance (and a lot of cooking at home....). Who knew it was so simple? My husband loves this soup. I will have to give this one a try. Sure to be a winner! 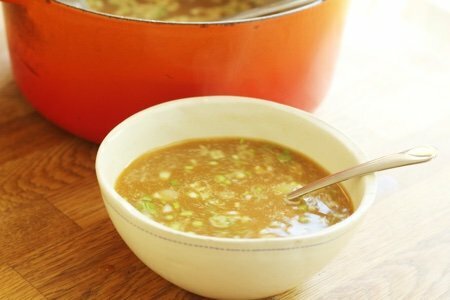 I love your hot and sour soup, so I will definitely give this a try! Great recipe! I love this soup. High protein and delicious. We used to order this at our favorite Chinese restaurant in Chinatown L.A. when I was a kid. If you want, toss in some chicken or veggie wonton. Or, add some green scallion bits for a flavor change up. More calories but also delish. I added 1/4 tsp. Toasted sesame oil, it was so good. Who knew it was that easy! Sounds quite different from the usual recipes. Much, much better! When I get a cold, my first stop is the tiny Chinese takeout place I love. $3.50/quart of soup and I get extra broth for a buck. I ask for no soy sauce so the sodium is low. I’ve moved so am not close to that restaurant. Making it myself will be simple. Several stores have low-sodium chicken broth so I’ll stock up!